A.P. Møller – Maersk said it is entering into a joint initiative with the Dutch fuel storage company Royal Vopak in advance of the International Maritime Organization (IMO) requirement that ships reduce sulfur emissions by using bunker fuel with a sulfur content of 0.5 percent or less, beginning in 2020. Maersk said it will become the anchor tenant in modified facilities at Vopak’s Europoort terminal in Rotterdam, one of a half dozen “tank farms” that Vopak has in the Dutch port. 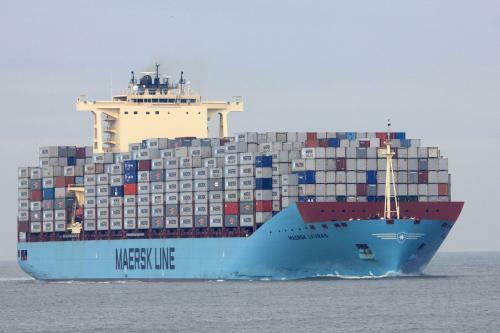 The facility will allow for “safely blending, storing and handling different fuel types to ensure full compliance with the 0.5 percent sulfur cap,” said Maersk. Maersk is a Vopak customer today. Maersk stores fuel it owns in tanks it leases from Vopak and Vopak operates the terminals. Maersk said the Vopak facility in Rotterdam will deliver approximately 20 percent of the fuel it uses, about 2.3 million tonnes per year. While companies do have the option of powering their ships with fuel such as LNG (which is predominantly methane and therefore naturally free of sulfur) or continuing to burn high-sulfur fuel and installing scrubbers on their ships to remove the sulfur from their engine exhaust, few ships are expected be powered with LNG or equipped with scrubbers by 2020.